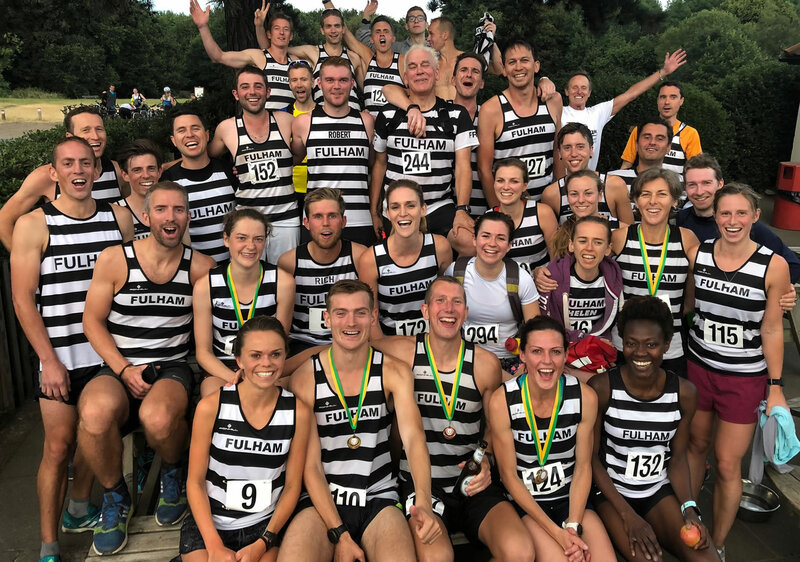 Fulham Running Club (FRC) was founded in 2004 by Charlie Craven and, since our launch, we have continued our ethos of being informal and welcoming, as well as FREE! Who can join Fulham Running Club? Open to all levels of runners, our members (known as Bandits) range in age from young adults to late 60s – everyone is welcome. Although primarily running club, our members include keen cyclists, triathletes and duathletes. You join by joining in! Simply show up to any of our weekly club runs on Tuesdays, Thursdays & Sundays (details here). There is no need to register, notify, or pay. You can also come and say “hi” at Fulham Palace Parkrun on Saturday’s at 9am. Facebook is where most club updates and discussions go on, so please join our group. We post the weekly updates here, as well as details on races, cross-country, tours, and much more. Tuesday interval sessions! Whether at the track, or in the park, we've got you covered! Join us on Facebook for more information! We would like to remind you that our parkrun is cancelled on 6 April, due to the annual boat race. @Fulham_Palace @fulham_src @FulhamRunClub @Barnes_Runners @serpentinerc @PutneyRunning please Retweet. Scottish Half, we're coming back! Currently planning our next away trip on Sunday 22nd September. As their website says, it's fast, flat & perfect for a PB! Who's in? Fulham Running Club at the Science and Running talk @sciencemuseum last night. Fascinating discussion - check out @marathontalk for the recording. Great evening at @sciencemuseum tonight for the Science & Running talk - lots of Bandits there to enjoy a fascinating discussion! Thanks to all the speakers including @jopavey @myelling @Josephineperry @KevinCurrell. Recorded for @marathontalk for anyone who couldn't come along!